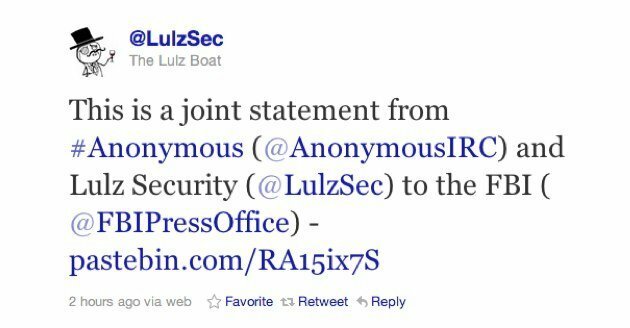 Hacker groups Anonymous and LulzSec defy the FBI’s plans to bring them down through heroic words. A message posted on Twitter by the two groups state that the only thing FBI will succeed in is to bring more hackers to join them and to get more people to approve with their Robin-Hood plans. Following a series of hacker attacks worldwide that have hit some of the most powerful companies in the world, such as Sony, Paypal, Mastercard, Visa and even the Pentagon, FBI organized a raid from coast to coast and arrested 16 suspects that are believed to be part of the “hacktivist” movement. Together with them, the officers confiscated all their computer equipment. While the FBI is concentrated on getting even the slightest information they can from the arrested suspects, they haven’t yet issued an official comment regarding the message from the hackers. “We are not scared any more. Your threats to arrest us are meaningless to us as you cannot arrest an idea”, their message continues. Their strongest argument is that people will get mad for the abusive arrests of what is described very similar to Robin Hood’s work. “There is nothing – absolutely nothing – you can possibly to do make us stop”, Anonymous concludes.